Nintendo has a bit of a history in cartoon making, as anyone who ever had the pleasure of watching The Super Mario Bros. Super Show! will testify to. It seems as though the company is now contemplating venturing into the business once more, with a few animated shorts designed to be viewed using the 3DS. 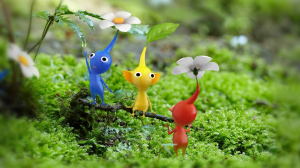 The batch of cartoons will be based on one of Shigeru Miyamoto's creations, Pikmin, and the legendary game designer is personally overseeing the project. In a recent interview with Polygon, Miyamoto revealed that the animated shorts would be out pretty soon - before the imminent release of Pikmin 3 on Wii U. He said the cartoons would possibly be distributed via Nintendo Video, the free downloadable app on the 3DS, but if they become popular Nintendo would consider selling them. The idea has actually been in Miyamoto's head for a while. In fact, you may remember the short sketch at the start of last year's E3 presentation where Mr Miyamoto was having a few Pikmin problems in his dressing room before the show. This was made at the same time that the team was developing the animations. Miyamoto came up with an idea for a Pikmin animated short by visiting a cinema and watching a small clip telling people to turn off their mobile phones. He thought Nintendo could do a Pikmin version of it, incorporating the use of 3D imaging. Deals were made and before long the video was showing in 60 Toho Cinema theatres across Japan. Nintendo was gauging a reaction at this point, seeing what people would think of the animated short. It must have gone down well as now the videos are to be distributed to a much wider, global audience. I didn't want to license our characters out to someone else to create films. Instead, since I used to draw four-panel comics when I was younger, I thought it would be fun to bring a four-panel comic approach to creating video content, so we started work on these Pikmin videos. Currently only one short has had its storyline revealed, and it's a little darker than you might imagine. It begins with what looks like Captain Olimar blending a red Pikmin into a juice and drinking it. Fortunately though, it's not a red Pikmin at all, it's a simple carrot. Nintendo 3DS is great for viewing 3D video content so we wanted to look at ways to expand that offering. However, this isn't something that will take up much of his time; Miyamoto said it is just a side project and that he'll still be working on games at the same rate as before. What are your thoughts on the prospect of some Nintendo themed cartoons? What would you like to see? Let us know in the comments below. Yay! I've always wanted animated shorts of Nintendo games. ... Okay, I'll be re-downloading Nintendo Video, then. Guess I'll redownload Nintendo Video once they come out. Sweet. I've been wanting to see some more animated shorts like Kid Icarus got, and I happy to see Pikmin apparently having a chance on the 3D screen. A Fire Emblem one would be especially awesome too. Nintendo Video has been my Dinosaur Office and Kid Icarus shorts app. I haven't actually used it at all for a while. I will be sure to look out for these though. I would certainly buy them, and I also want Nintendo to put the Kid Icarus shorts up for sale. Also, does anyone else think Nintendo are trying to make Pikmin a top-tier series? With it's prominence at E3, it's surprise inclusion as an AR card and the characters being used in cinema advertising (not exactly advertising but whatever), it seems as if Nintendo are really pushing it. I hope it pays off, since I love the series and could see the it actually being very popular (if it wasn't a Nintendo game it would certainly be much more respected in the industry). EDIT: I almost forgot that it's Pikmin who carry data during system transfers. They really are putting Pikmin everywhere. I really enjoyed the Kid Icarus and Kirby shorts on Nintendo Video. I'll definitely check these out. "This thing will come out before Pikmin 3 does," and "We're not spending a lot of time on this; it's like a side project." Basically, Pikmin 3 isn't coming out any time soon. So they'll sell the Pikmin videos if they become popular enough, but they won't sell the Kid Icarus videos or the Kirby 3D video. C'mon, Nintendo, you've only put up 3 videos on the eShop, all of which are lame Dreamworks Halloween specials. Sounds cool! I'll need to re-download Nintendo Video once these are released I guess. Finally a reason to launch Nintendo Video! I can't wait to see these. @allav866 Oh, I forgot about the Kirby video. I want that as well. But in the UK, we've had 6 3D Machine videos , 6 (horrible) Incredible Barbazan videos and 2 Beat Party videos released as a paid download. I think there are more Beet Party videos to come. I'm really ansious to watch this short animated films of Pikmin on my 3DS! Brilliant idea! Pikmin 3 (originally for the Gamecube/Wii), was due to be a WiiU launch title, then delayed to launch within the 'launch window' This window ends on 31st March. I do wish Nintendo would stop messing about with Pikmin cartoons, animations for a system transfer, and just launch the game on the WiiU. We are crying out for it (especially as we are starved of games atm). Some sort of release this year (or decade) would be nice! I'd love to see the Pikmin short on my 3DS. I'd love it even more if there were a 3DS version of the game. I don't own a Wii and I've never played with them, but they were sooo cute moving my games around when I transferred from 3DS to 3DSXL. Please, Nintendo, can we have the proper game on 3DS! If only I could use Nintendo Video from my country I guess I'll look em up on the internet. Wait, is the movie theater short out? Is it out in English? Can I still find one at a movie theater? I'm confused. Loved the Kid Icarus and Kirby videos as well, so this should be definitely be an entertaining cartoon to watch. Awesome! It should be stop-motion though. That would be even better. It would be nice to see that kind of push for the game in the US. Sounds fun. The Pikmin are a great fit for a comical approach. There are quite a few lesser known franchises that could be presented to a wider public this way. It`s also nice to see them bring another dimension to the characters and story sometimes. Like the KI cooking short and the Kirby TV series. Chibi Robo and Yoshi could be cool, maybe even Ice Climbers and Balloon Fight or some stories of the Starfox and F-Zero crew during their school days or something. Most importantly we need tons of Tingle shorts though. I LOVED the Kid Icarus animated shorts, and really wished there was a way to save them, or even purchase them. Most of the other videos in Nintendo Video don't interest me at all. @C-Olimar Not to mention having an attraction in Nintendo Land, and being included in the prestigious Smash Bros. roster. Come to think of it, Pikmin's popularity seems to have taken off after that appearance. Just another example of a series that has ascended after showing up in the famous fighting game. 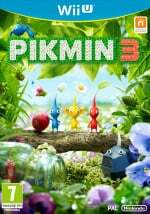 Can we have the film when Pikmin 3 comes out, please? Hopefully, after the release of Pikmin 3, the series will ascend to highest rung of Ninty franchises, up there with Zelda, Mario, Pokemon, Metroid, Kirby. It certainly deserves to be. I think Nintendo want this as well, due to the evidence I gave above; they seem to be adopting Pikmin as a primary mascot. Let's be honest though, it's most likely due to Miyamoto's influence. If he wants it, he gets it. Ditto. I will redownload nintendo video, then. Even when it's free it's been a while since there was new, interesting content in there. Add in the fact that the extra data takes up good space on the stock 2GiB SD card, and it resulted in me wanting to delete it every time i opened system settings until i finally did it - Not that i have a better content to replace it, though, it's just to free up the space and stop downloading the same content i have already viewed many times before. Ild rather just have Pikmin 3 please. You can make all the videos you want AFTER it comes out. hah, yea i'll re-download nintendo video again if they have some pikmin shorts to watch. funny how many people made the same comment. "It seems as though the company is now contemplating venturing into the business once more, with a few animated shorts designed to be viewed using the 3DS." I actually don't know what those movies are. Could you explain them some more? I actually managed to get several Download-for-free movies: "Dillon's Rolling Western", "Sakura Samurai", "Kid Icarus", "Paper Mario", "Luigi's Mansion", "New Super Mario Bros. 2", and "Donkey Kong Country Returns 3D" Previews as well as a "Dinosaur Office" and "Kid Icarus Montage" movie. There are movies, they just are usually only around for a very short time. After you download, you can just keep them. Good News is that you can save them. Bad news is that you must actually have the video that you want to save - no way to gift it to another. Then you need to take your SD and plug it into a computer. The folders on it should be "Nintendo 3DS" and "DCIM". Open the "Nintendo 3DS" one (The other is just your camera pics if you set the 3DS to place them on the SD card) and then there should be a "Private" folder and a folder whose name is in hexadecimal. Open the Hexadecimal, and then open the next hexadecimal folder inside that one. In there, the folder called "extdata" is all the Extra Data shown in your System Settings App in the 3DS. Open it and there should be a folder with the name "00000000". Inside that one is another folder with the name "000004aa". That folder ("000004aa") is the folder that contains all the Extra Data for Nintendo Video. If you were to copy that folder and replace it later, you would still have the same videos that you currently have. This works best if you turn off your wireless when you are moving the files over so that you do not overwrite the videos again. Don't worry about the files that you replace because they are the current videos and you should be able to get them if you just turn the wireless back on. This, unfortunately, will not work if another 3DS made the data. Instead the new 3DS will just say that the data is corrupt and delete it. Let me know if you have any problems. I have been doing this since "The Rifle's Spiral" came out and I have been collecting ever since. Note: I apologize if anything in this message is not allowed to be posted on this site. This is Data Manipulation which is often referred to as hacking. Technically, this is more like Save Scumming, however it is possible that the discussion of such is not encouraged on this site. No malicious intentions, nor pro-hacking agenda is behind this discussion. I am also not responsible for any damage to a person's data that is incurred during the transfer of data or any occurred by that person by them attempting to follow my directions incorrectly.